Malaysia is a combination of good foods, good people, and good places. 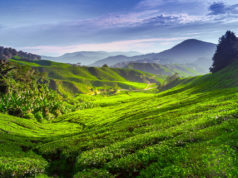 To visit Malaysia is one of the best ways to enjoy Asia. That is why you have to treat yourself in the best way when you go to Malaysia, like choosing the good Malaysia holiday hotels. You might want to explore Malaysia all day long and just want to be in the hotel for sleeping. However, good quality of sleeping means good mood, and you really need that in the holiday. So, don’t forget to choose the best Malaysia holiday hotels. Still, confuse which hotels suit you? Here is the list of best hotels in Malaysia that will give you ultimate comfort. If you wish for a tranquility and good facilities to release your stress, the log resort Philea has to be on the top of your list. Only by looking at the photo of this resort will make you believe that paradise does exist in this world. Enjoy swimming in the outdoor swimming pool, refresh your eyes by watching to the manmade waterfall, and also get some facilities that will make you all feel like a king and queen in a day. This is a good sanctuary place for you who want to escape for a while from the crowd. And the other good news is, this log is located near the exotic Malacca Zoo and Reptile Farm. This will be a good log for a family holiday. Are you looking for a modern-themed hotel in Malacca? 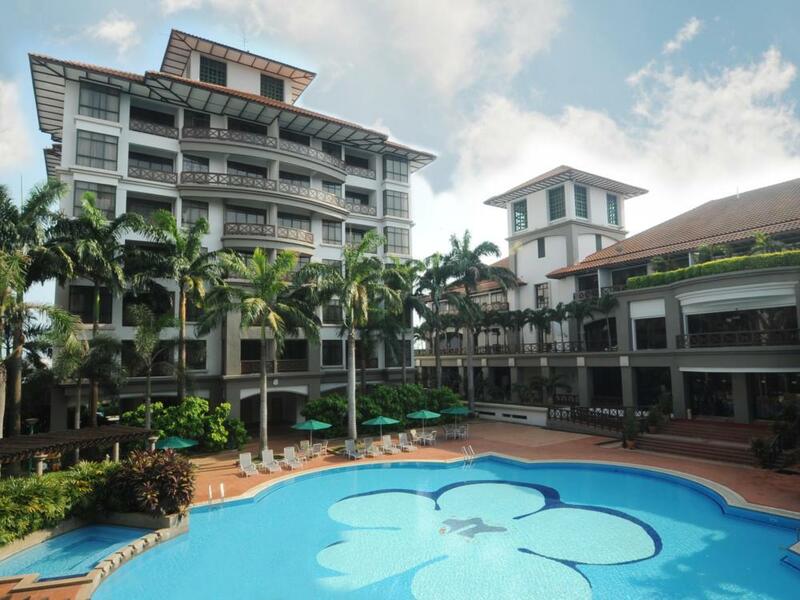 You can get it by choosing Equatorial Hotel Melaka. Located near the historical sites and some shopping malls like Jonker Walk and Dataran Pahlawan, it is a good choice if you want an accommodation with easy access to transportation. If you travel Malaka for the business matter, you can use the business center provided or maybe you can go to the tennis court with your colleagues. Don’t worry about your tummy, because, besides its simplicity, Equatorial Hotel Melaka also serves various beverages from many countries such as Japanese, Italian, and Malaysia. For a one-stop holiday, pick this hotel as your choice. Build with the colorful concept, First World Hotel is connected to First World Plaza, a plaza that provides the shopping center, park, and also huge food courts with many choices of food. 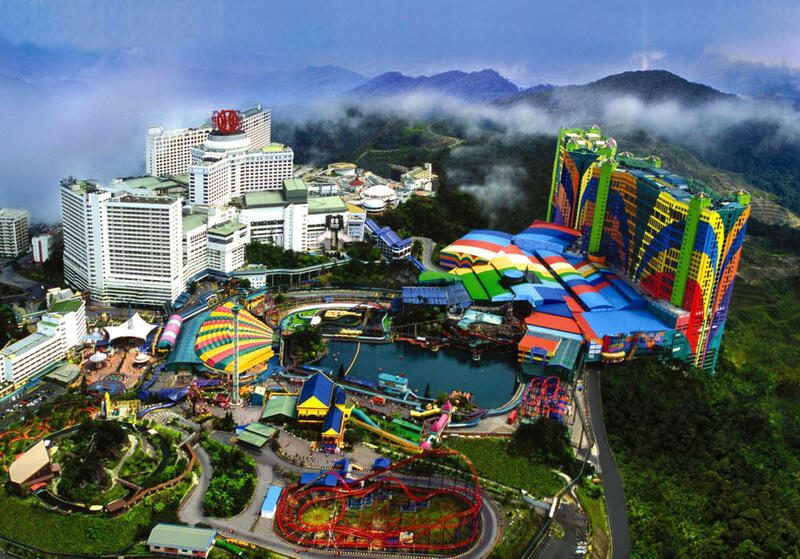 Not only eye-catchy outside, First World Genting is also good and comfortable inside. All the rooms have a modern ambiance that will make your holiday more colorful and funny just like this hotel. 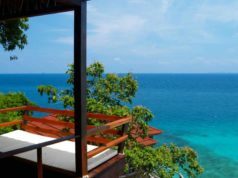 Planning a holiday in Tioman Island? Then you have to stay at Berjaya Tioman Resort. Build on a Malay-themed concept, Berjaya will make your holiday more wonderful with its back-to-the-nature concept and also other facilities such as dive center, stoned-swimming pool and also the arcade. Will all the facilities provide, no wonder if Berjaya Tioman resorts are considered as the only international class hotel in Tioman Island? If you are a beach lover or just seek for vitamin-sea, never forget to stay overnight and enjoy daytime in Berjaya Tioman Resort. What is better than wake up and directly can see the beach in front of you? 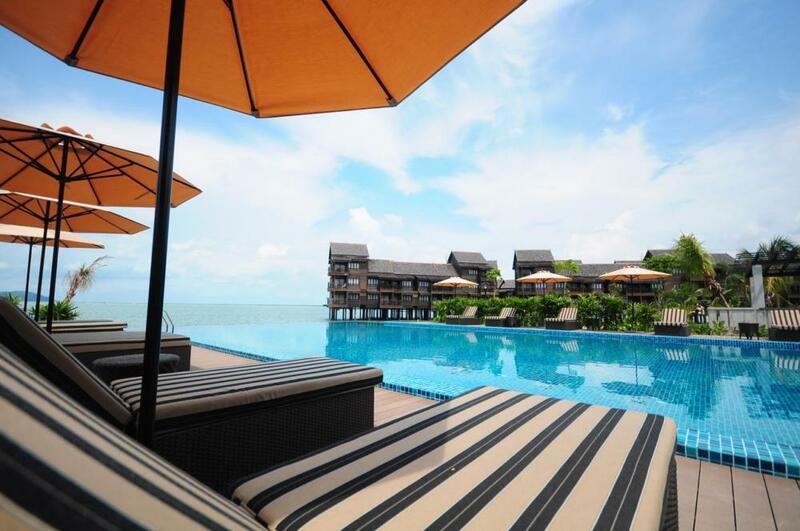 This is definitely one of the best Malaysia beach hotels you have to choose. St. Regis is a hotel chain that is known for all the luxurious hotels around the world. Staying overnight in St. Regis means that you want to be treated like a very important people for a night. This is not overrated if you see the beauty of St. Regis and the facilities that it provides. 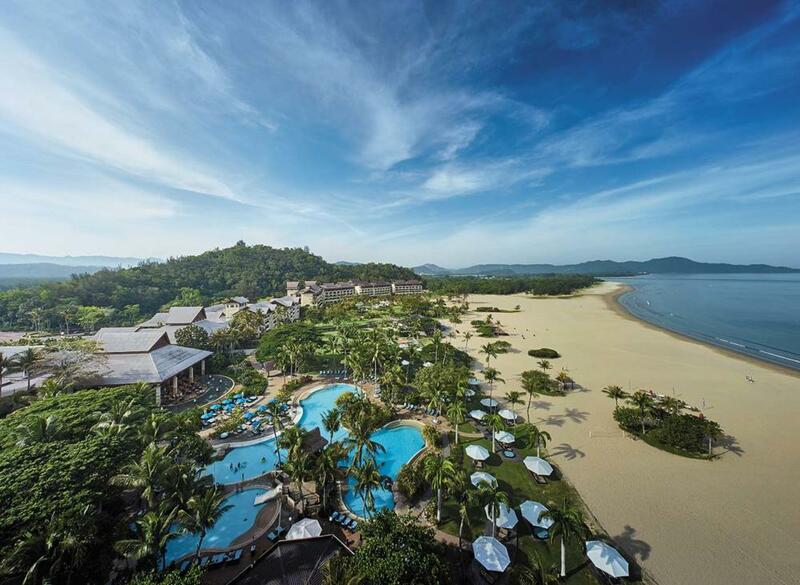 One of the best hotel in St. Regis is St. Regis Langkawi Island. 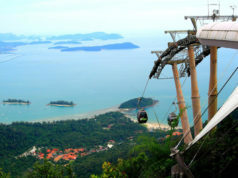 Langkawi Island is known for its beautiful beaches and also has been given the World Geopark Status from UNESCO. You can enjoy the beautiful beach right in front of your room or maybe enjoy that beautiful beach while swimming in the swimming pool – only if you choose to stay at St. Regis-. Sometimes a hotel makes you feel that you are far away from the house. However, Shangri-La Rasa Ria Resort is so homey that you feel like you are already home. This is absolutely brought by the good interior design and also the view of beach or garden that you can see from the individual balconies in each room. Ombak Villa Langkawi brings you a simplicity and a luxury at one time. Dominated by beige color, you can see that this hotel uses the minimalist and modern concept. But, despite its luxury nuance, the hotel is quite affordable, and also, near from the airport. Ombak Villa Langkawi also offers you a fascinating view from its private terrace. 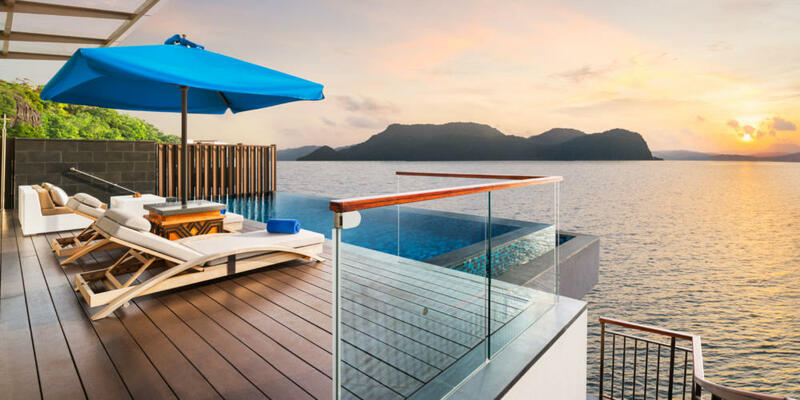 So, if you are a simple person but really want to get a luxurious place to stay, Ombak Villa Langkawi is one of the best Malaysia holiday hotels. Loving the old-style? Want to feel the luxury of the 1920’s? The Majestic Malacca will give you the best sensation. 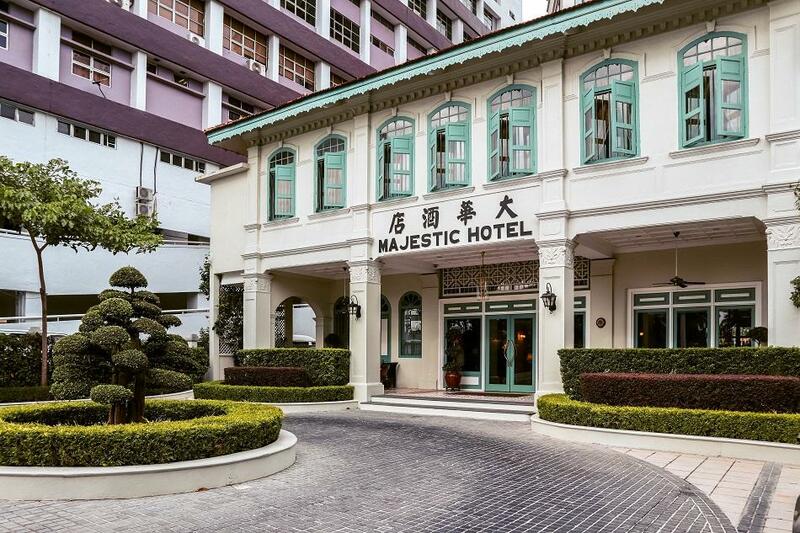 Located in the strategic place of the Malacca’s historical site, The Majestic Malacca is a luxurious hotel with old-style that brings you the sensation of going back to the past time. In 1920, the hotel was a house of a rich and notable Chinese Merchant. It was then renovated and changed into the luxurious hotel, with modern facilities, but still with old-style fixtures. So, for a different experience of staying overnight, you can choose this hotel if you go to Malacca. 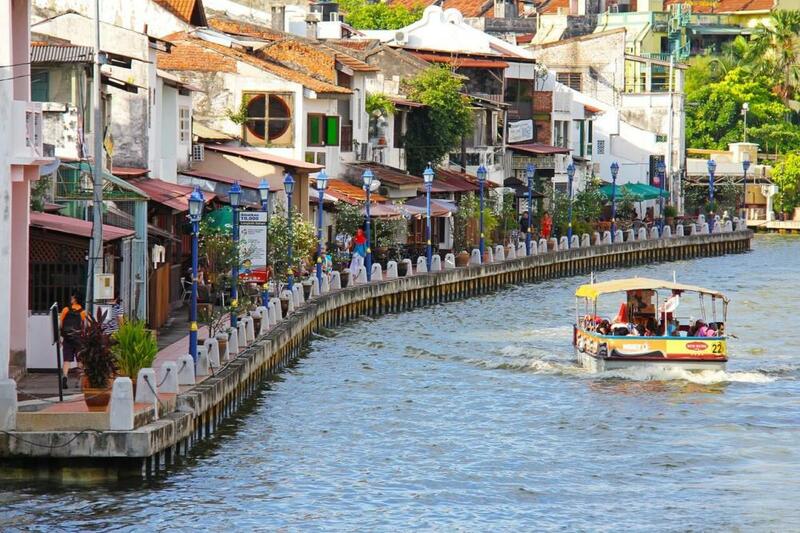 It completes your holiday in historical sites of Malacca. Holiday Villa Cherating is a hotel that resembles some villas, complete with two swimming pools, open-air jacuzzi, and also some facilities for sports. It also comes with a very tranquil ambiance, so if you want a calm holiday, choose this hotel for good. It also serves you with various foods and beverages, not only the Western foods and beverages but also the real Malay foods and beverages. 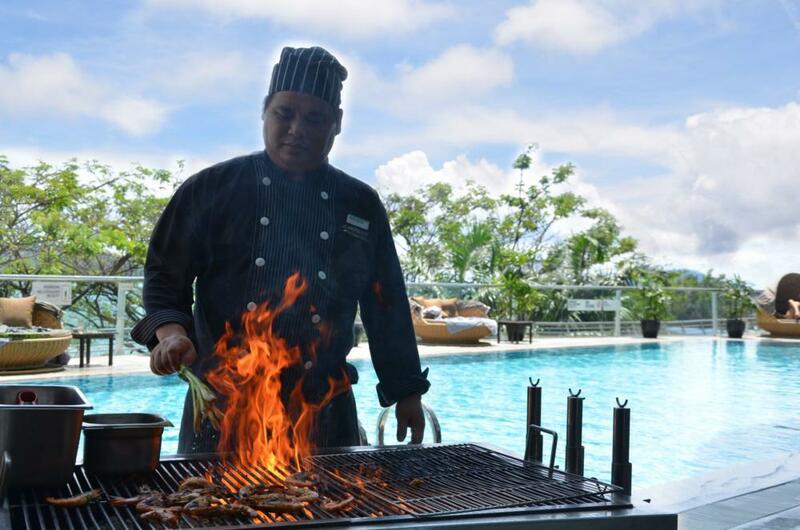 Wondering how amazing it is to enjoy the delicious food while laying inside the outside jacuzzi? Come to Holiday Villa Cherating. Located in the heart of Kinabalu City, Le Meridien KK is surrounded by all the modern entertainments that well-suited for the young people. Le Meridien KK is the best choice for you if you want an easy access to all the attractions. You just have to walk in order to reach the commercial centers or maybe the business centers. However, it is not only near to the city’s modern facilities. 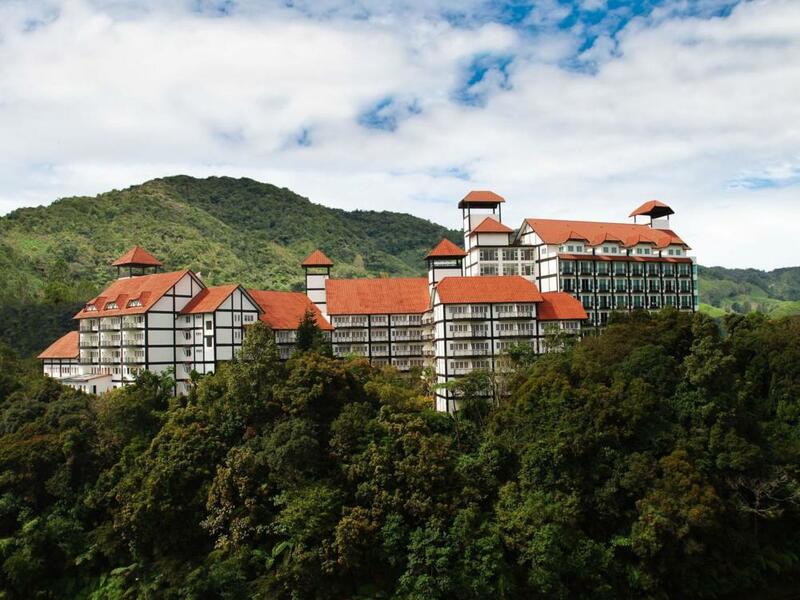 From this hotel, you can also see the beauty of Mount Kinabalu and also the South China Sea. It is such an example of how the modernity can mix so well with the beauty of nature. Therefore, Le Meridien is not only affordable but also the fascinating place to sleep in. 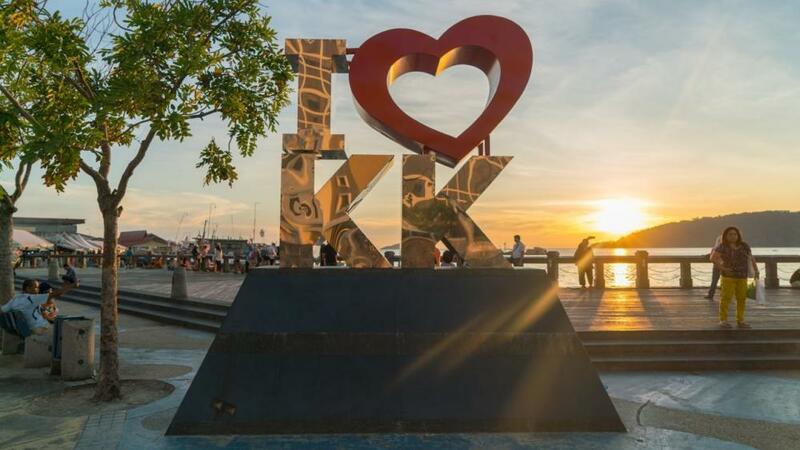 Don’t worry about the transportation if you stay there, because you just can take a walk to every attraction of Kota Kinabalu from Le Meridien Hotel. Loving the mountainside? You can try Century Pines Resorts to sleep in. This hotel is located on the east side of Pahang and offers you the rooms with the touch of Tudor-Style. If you are getting bored with a minimalist concept or log concept, this hotel is such a good option for you to stay overnight. Not only the rooms with western Tudor style, every room also completed with private balconies. On those balconies, you can sit while enjoying the ambiance of the countryside of Phang. It is such a wonderful place for you who looks for the tranquillity and just want to stay in a place far away from the crowd. The Hilton Hotel Chain is well-known for its minimalist yet luxurious hotel concept. 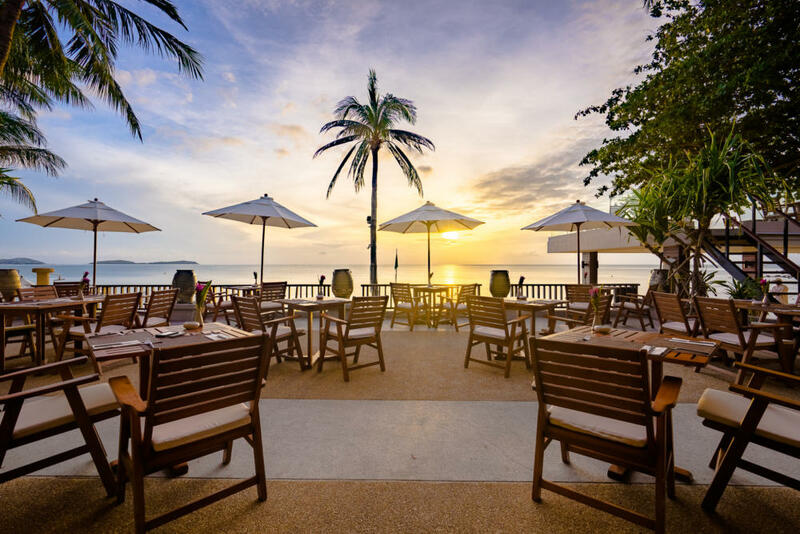 If you are a tourist of Kota Kinabalu looking for the simplicity, then you can consider staying overnight at Hilton Kota Kinabalu. 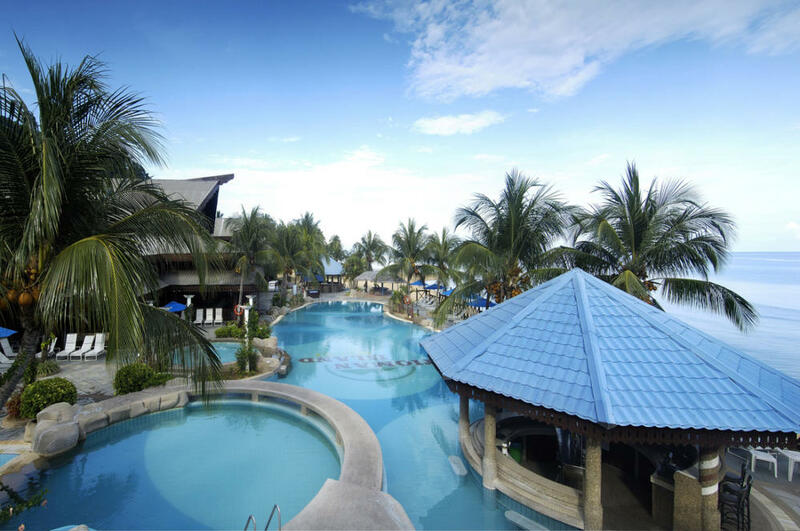 The Hilton Kota Kinabalu may not offer you the exotic log resort with the private jacuzzi. However, you can get all complete facilities to make all your business easier, just like other Hilton Hotel in this world. It is also located near the All Saint’s Cathedral and Kompleks Asia City. So, you don’t have to look for the transportation to reach those notable sites. Also, you don’t have to question the service from Hilton Hotel, since this famous hotel will give you the best service that can release all your tiredness. This is the best place to escape from your very busy day in your hometown. 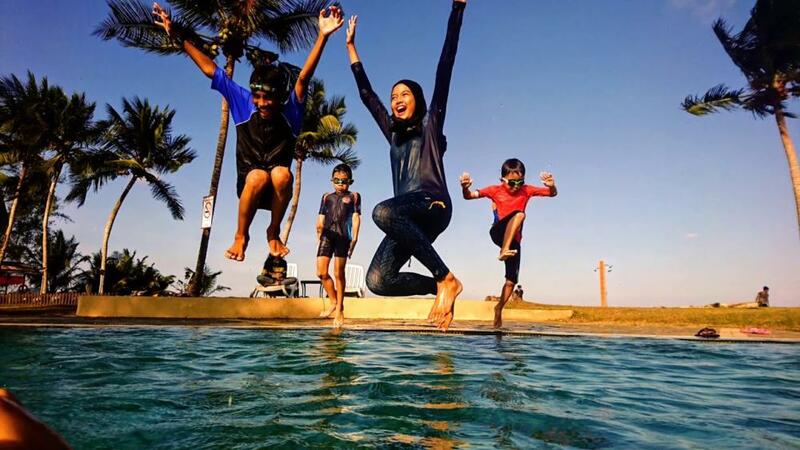 Impiana Resort Cherating will offer you the ambiance of going back to nature. 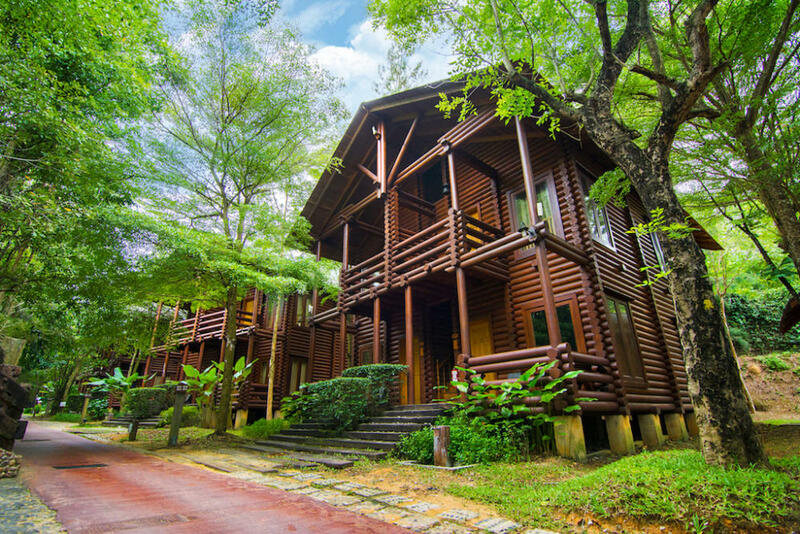 It is not only because it comes with traditional Malay fixtures and surrounded by trees. Impiana Resort is located near that golden sandy beach. So that every time you open your eyes, the beach, and the breeze will always welcome you. Staying overnight in Impiana Resort Cherating can recharge your energy, so, you are ready for the next adventure on your holiday. Either you want to enjoy the East Coast beach, seeing the life of the sea turtles, or maybe just take a walk in the modern city center, you can choose Impiana Resort Cherating for good. Cherating will not stop to amuse you. Not only for its beautiful beaches and attractions but also its hotels. Another example of hotels with good vibes is Colmar Tropicale. 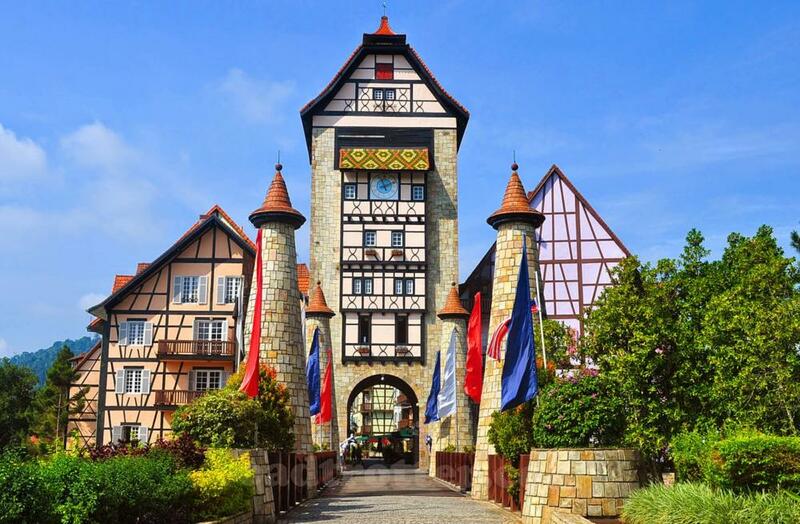 You can see from its name that this hotel is inspired by Colmar Village, Alsace, France. 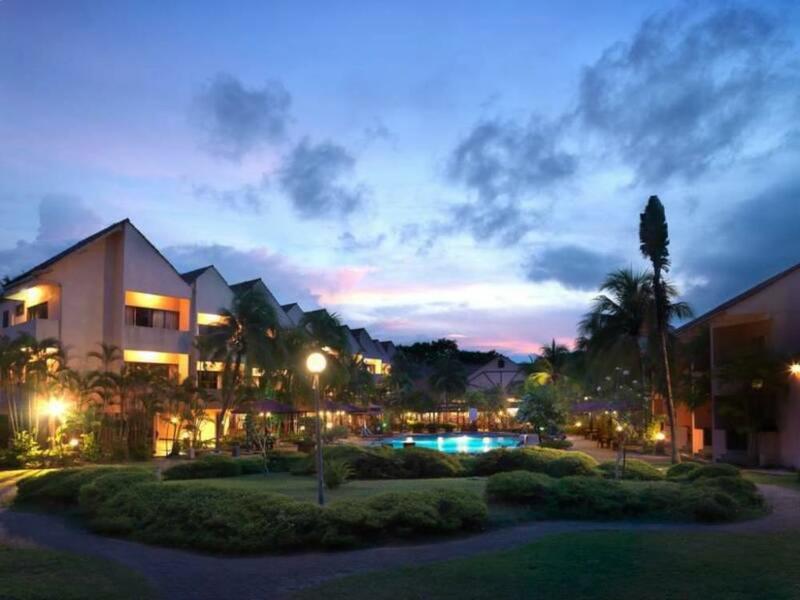 If you love the European Style, then Colmar Tropicale is the right answer for staying in the night. The cobblestone fixtures will enhance the classic-french theme in this hotel. Hence, if you love to take photos in the picturesque places, this hotel is the answer. Not only the concept that makes this hotel seems so luxurious, there is also 18-holes golf course provided in this hotel. The golf course also considers as one of the best golf course in the world. Imagining how luxurious the holiday that you will get in Colmar Tropicale. Want an accessible accommodation? Choose Hatten Hotel if you are going to Malacca. This hotel is surrounded by many attractions, from Dataran Pahlawan shopping center to Menara Taming City. The concept is also futuristic and minimalist, and you can also see that from the simple yet luxurious edge swimming pool provided. You can also sense the modern life at this hotel from the all-day dining restaurant, poolside bar, and also the sport-centers inside the hotel. Over 600 rooms also provided in this hotel, and you can get that with the quite affordable price. The Legend Cherating is actually located almost outside of the Cherating. For you who doesn’t see the transportation and access as the main problems for you, The Legend Cherating is a good choice. Why is it such a good choice? Because The Legend Cherating provides an ultimate tranquility with back to the nature concept. The swimming pools provided resemble the calm lake, and you can swim or just lay on that while facing the beauty of the sea. This is definitely a good sanctuary for your beautiful holiday. So, you don’t have to be confused on how to spend your holiday in Malaysia. Every city in Malaysia has its own uniqueness, from the historical city Malacca to the Cherating with its beautiful sandy beach of East Coast. As you can see above, every city in Malaysia has several wonderful Malaysia holiday hotels choices with different styles. And the good point is, they come with the unique concepts, amazing hospitality, and also affordable price. How can the holiday be so good like this?